Together in One Volume for the First Time! Woman, Thou Art Loosed! Struggling with sorrow, guilt, or dark memories from a painful past? You can be set free and find welcome healing in this powerful message of hope. The Princess Within Restoring inner beauty is the theme of Serita Ann's candid testimony. Written with grace, courage, and vulnerability, it offers women a pathway to true wholeness in Christ. T.D. 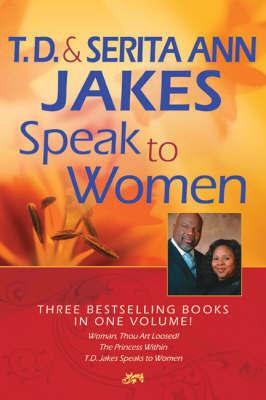 Jakes Speaks to Women A treasure trove of inspirational words to challenge, comfort, and restore every woman's heart. Practical advice touched by God's Spirit and delivered in T.D. 's unique style. Sharing from years of experience, this dynamic husband and wife team know the struggles that Christian women face and the keys that will set them free. Let them help you rediscover the truth of God's love and His plans for giving you a bright new future through His transforming power.